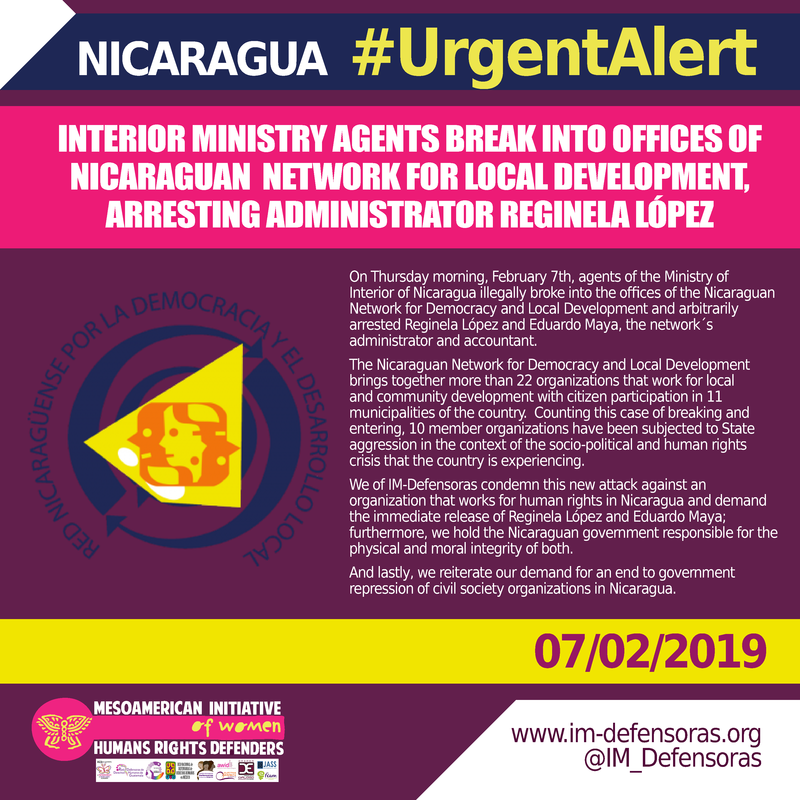 On Thursday morning, February 7th, agents of the Ministry of Interior of Nicaragua illegally broke into the offices of the Nicaraguan Network for Democracy and Local Development and arbitrarily arrested Reginela López and Eduardo Maya, the network´s administrator and accountant. The Nicaraguan Network for Democracy and Local Development brings together more than 22 organizations that work for local and community development with citizen participation in 11 municipalities of the country. Counting this case of breaking and entering, 10 member organizations have been subjected to State aggression in the context of the socio-political and human rights crisis that the country is experiencing. 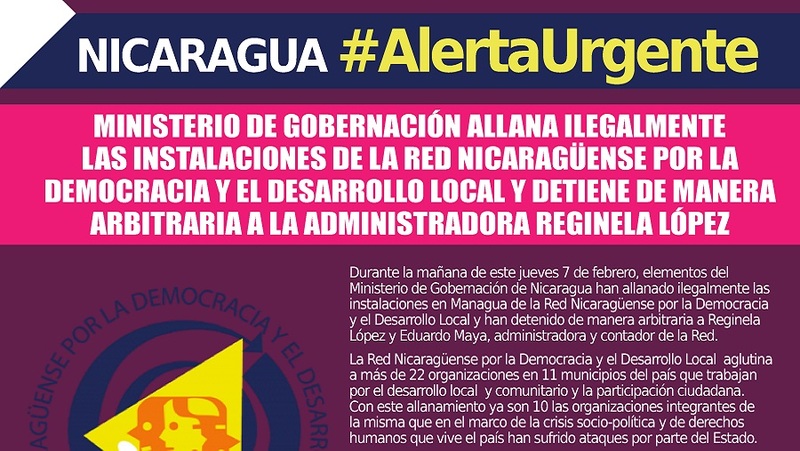 We of IM-Defensoras condemn this new attack against an organization that works for human rights in Nicaragua and demand the immediate release of Reginela López and Eduardo Maya; furthermore, we hold the Nicaraguan government responsible for the physical and moral integrity of both. And lastly, we reiterate our demand for an end to government repression of civil society organizations in Nicaragua.